This Data Entry Operator interview profile brings together a snapshot of what to look for in candidates with a balanced sample of suitable interview questions. Similar job titles include Data Entry Clerk, Data Input Clerk and Data Control Clerk. Make sure that you are interviewing the best Data entry operator candidates. Sign up for Workable’s 15-day free trial to hire better, faster. When it comes to hiring a Data Entry Operator, it’s best to prioritize hard skills over candidates’ educational backgrounds. In general, you’re looking for someone who is tech-savvy and a fast typist. Experience as a data entry clerk and familiarity with common workplace software and databases is critical. Candidates will report to a data manager. Soft skills in this position are also important. Attention to detail, confidentiality and accuracy are all key requirements for data entry operators. 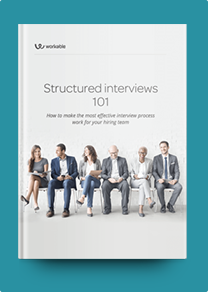 For best results, add data entry interview questions questions tailored to the role’s exact work environment and responsibilities. For example, if candidates are required to handle personal medical information or scan documents for indexing details, be sure to ask questions related to these data processing tasks. Communication skills are also vital if you expect them to interact with customers to acquire data. Use open-ended and situational questions to get candidates to speak at length about any customer-facing experience they have. See our job description for a Data Entry Operator. What word-processing tools have you used before? How would you approach handling confidential information? How would you avoid data losses? Describe a time when you had to enter a large amount of data in a short period of time. What did you do to complete the work accurately and within deadline? How has your attention to detail helped you in the past? How do you prioritize the documents that must be digitalized? Tell us about a time you received positive feedback on your work. This work can be repetitive. What motivates you to do well? Share an example of dealing with a difficult customer/coworker at your previous jobs. What was the problem? How did you resolve it?